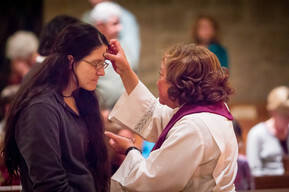 The central event in the life of St. John’s is our Sunday morning gathering around Word and Sacrament. 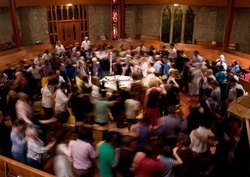 With the table at the center of our sanctuary, we gather in a circle as a family of grace, celebrating ancient Christian liturgy in a joyful, creative, respectful and inviting style. We celebrate Holy Communion every week. 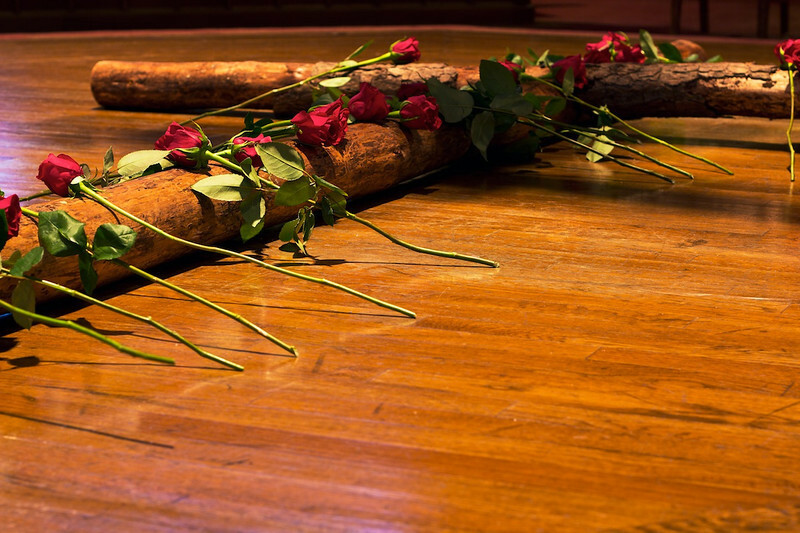 As Lutherans, we trust that Christ is present for us in the bread and wine, and we invite all to come to the table. We offer both wine and grape juice and have gluten-free wafers for those who require them. 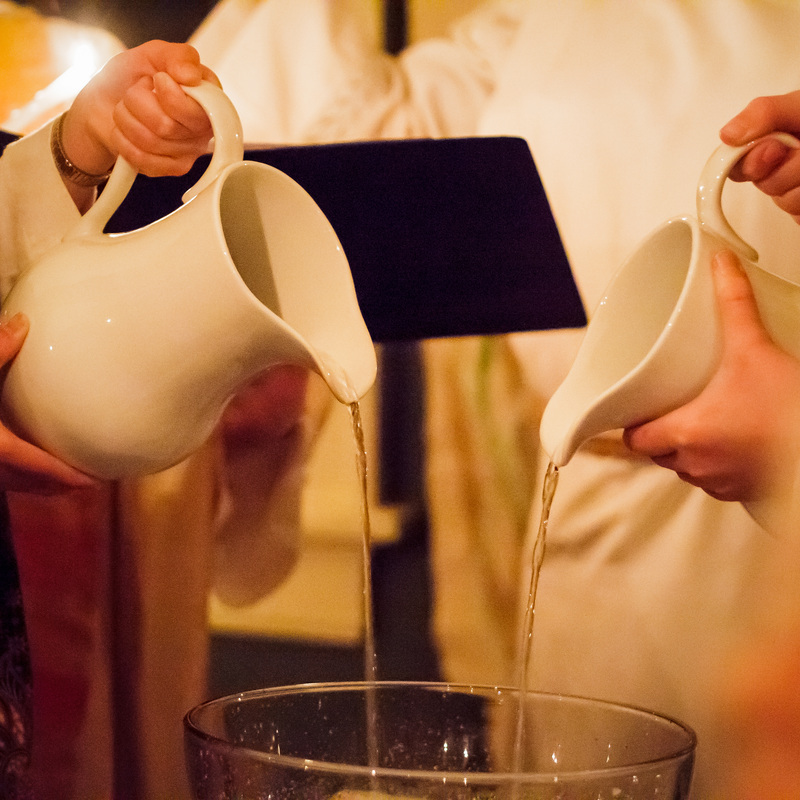 Baptism, a sign of God’s unconditional love, serves as initiation into the Christian family. 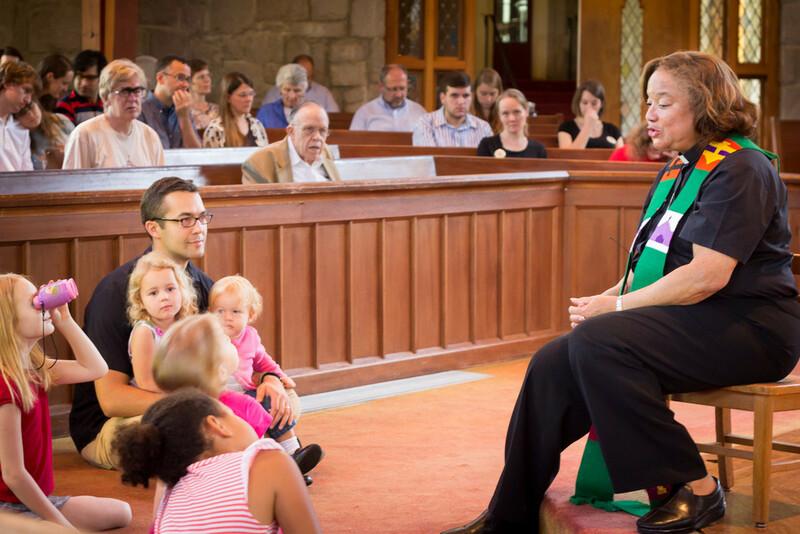 As Lutherans, we baptize infants and adults and are eager to welcome new Christians into our community. We also recognize baptisms done in other traditions. 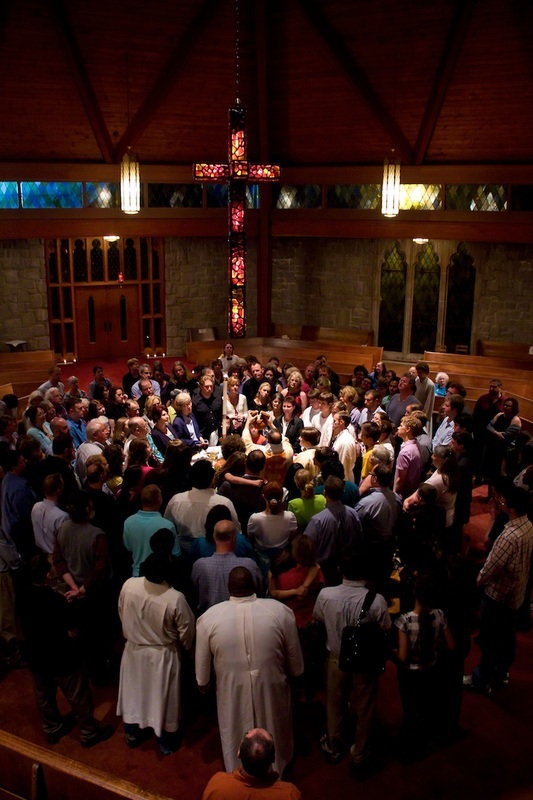 It is not necessary to be re-baptized in the Lutheran church. 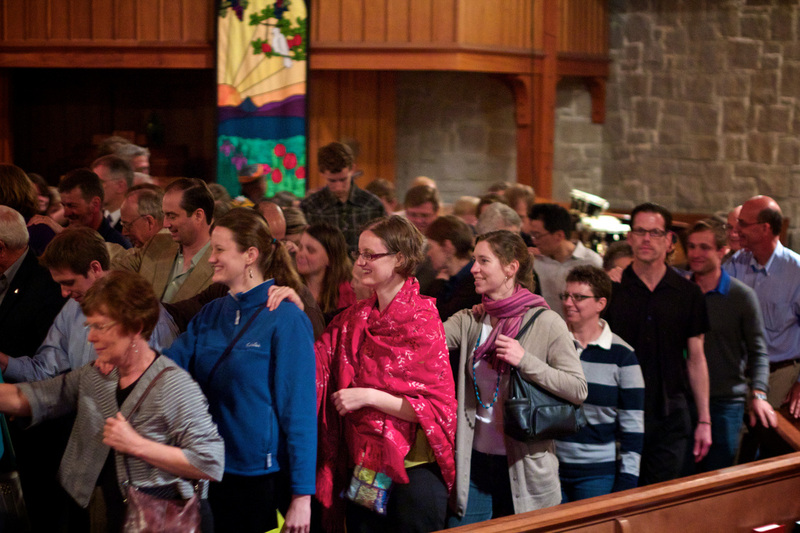 Our music ministry prioritizes congregational singing and participation. 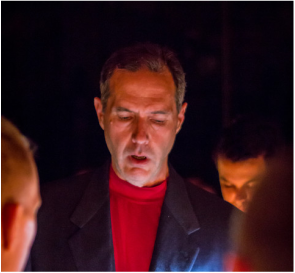 Individuals are involved in our music ministry in many ways, including singing in the choir, accompanying hymns, or performing special musical offerings. Members of St. John's play an integral role in the leadership of our worship services. 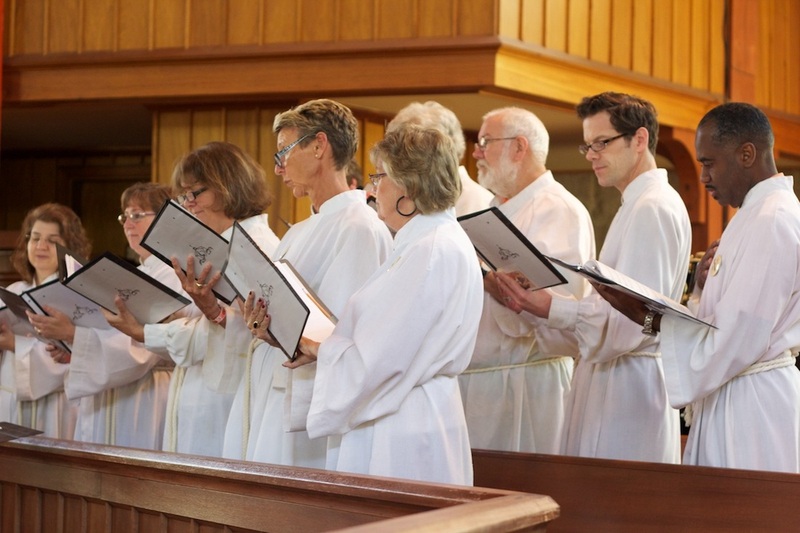 Every week, volunteer members fill many worship roles, including assisting minister, lector, communion assistant, usher, musician, announcer, acolyte, and nursery worker. Jesus welcomed little children, and so do we. Thank you for bringing your children with you to worship at St. John's! 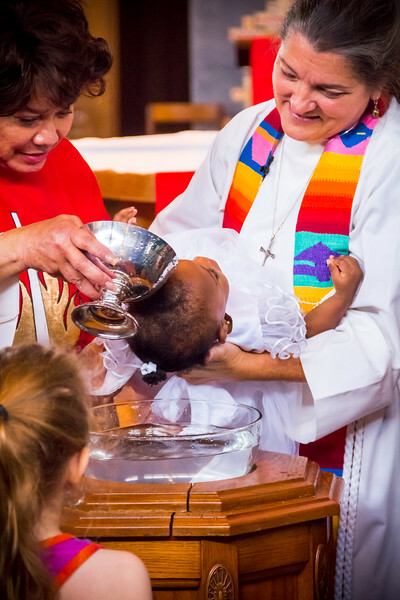 When a baby is baptized, the whole congregation promises to help raise the child in God's church. As our children grow in faith, they also help us to know God in new ways. 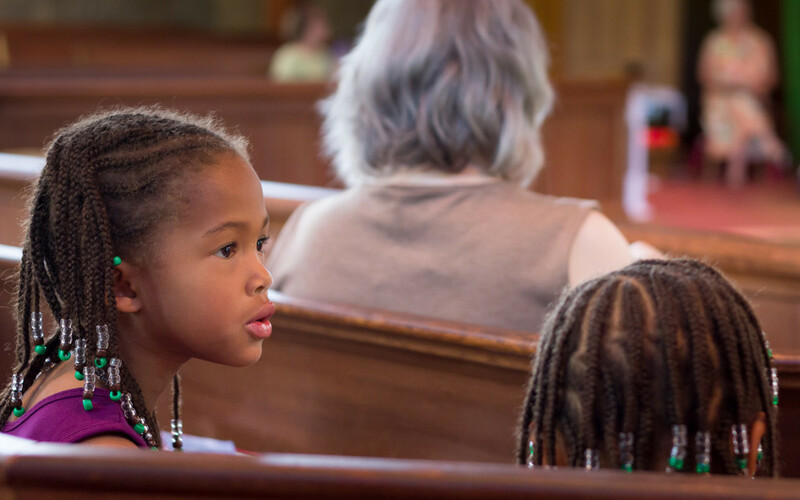 We need all God's children in the sanctuary with us on Sundays, to help us worship, sing, and pray. Relax! God put the wiggle in children, and you don't need to suppress it in God's house. Participate with enthusiasm, and encourage your children to join in with you. They will learn from your example. 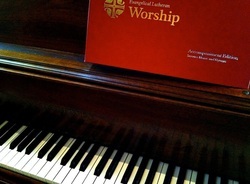 Attend worship often. Children love familiar routines, especially when they can participate and contribute. 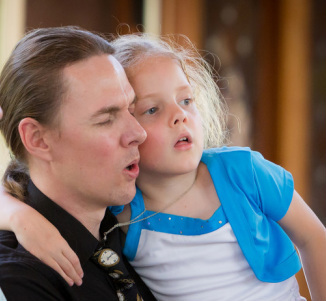 If your child needs a break from the service, feel free to leave the sanctuary and then return when you're ready. The sanctuary doors open and shut often at St. John's--you won't disturb the service. You are welcome to bring quiet amusements for children: paper and crayons, books, soft toys, snacks and sippy cups for toddlers, etc. 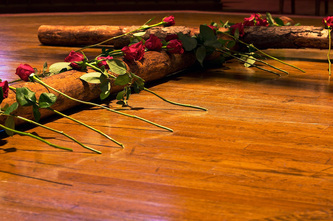 Our pews are perfect for budding artists and readers. Bring your child with you to the altar for communion. At St. John's we practice infant communion, which means that all God's children are invited to the meal, regardless of age. Your child can receive a blessing, or take the bread and wine or white grape juice, whatever you prefer. We want children with us in the sanctuary, but we also know that some children may need time to get used to the service. If your baby or toddler is uncomfortable in worship, we do provide a nursery on the second floor of the Stonehenge Mansion. Our nursery welcomes children up to kindergarten age to play during the worship service. If you are sitting near a worshiping family, remember that a smile of encouragement is always welcome to parents with small, active children! Our circle highlights participation and the development of intimate community. 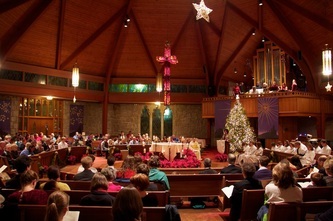 With the altar in the middle, the presence of God in the center of the congregation is emphasized. 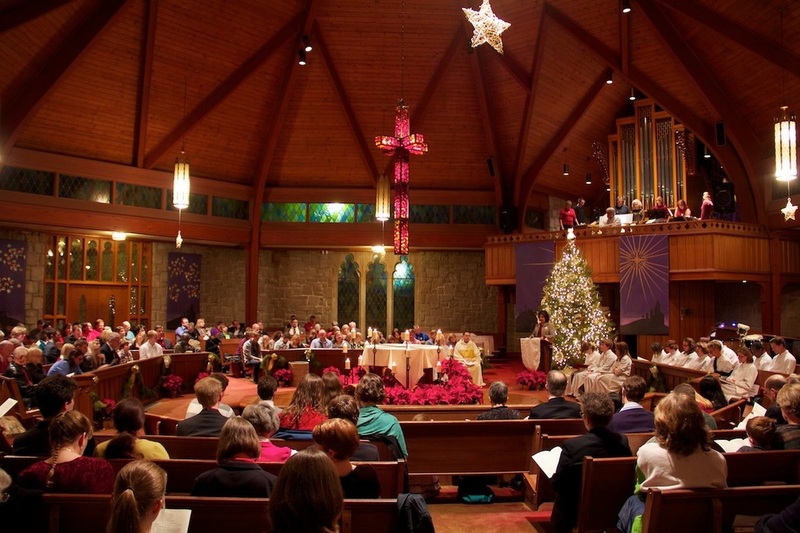 Although the structure of worship at St. John's is deeply rooted in the traditions of the Lutheran church, the content of worship at the church, as realized through our liturgical choices, will vary from Sunday to Sunday and season to season. This creative approach to worship, developed through careful collaboration between the pastors and the Worship and Music ministry, is a core expression of St. John's values.